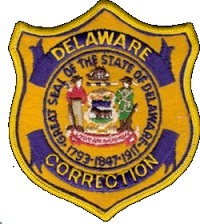 Below are listings for all the prisons and jails in Delaware. Each entry below has useful information for friends and family members of inmates. Many times it can be confusing on what the rules and regulations are when you have a loved one in prison. Each page below should clarify all of the commonly asked questions such as how you can do an inmate search, send money to an inmate, mail items, talk to inmates on the phone, and various visiting information such as the visiting hours. Users who have other questions about any of these institutions can post a question on the facilities page and our community will work quickly to answer it. While we strive to give our users the most complete and accurate information, we can from time to time have an outdated visitation schedule, which is why we ask all of our users to contact the institution to verify the visiting hours prior to their visit. In the event that we have the wrong hours posted we ask that our users leave a comment on the facilities page so that we can update our database for others.